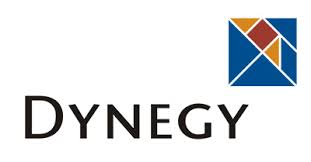 Dynegy Inc. (NYSE:DYN)’s share rose by 8.75% on August 22, 2014 after the company announced acquisition of coal assets from Duke Energy Corp (NYSE:DUK) and Energy Capital Partners. The company is planning to purchase coal and gas generation assets worth $6.25 billion from these two companies. According to the official statement released by Dynegy Inc (NYSE:DYN), company will acquire 12,500 MW of coal and gas generation, which will double its portfolio nearly 26,000 MW. Dynegy Inc will purchase asses worth $2.8 billion from Duke Energy Corp (NYSE:DUK) and $3.45 billion from Energy Capital Partners. The company is planning to offer new unsecured notes worth $5 billion along with equity and equity linked securities worth $1.25 billion. Further, the company also has $950 million from incremental revolving credit facilities giving it a total credit capacity of $1.425 billion. It is a positive step for Dynegy Inc (NYSE:DYN), a company that nearly went bankrupt in 2012. The company reported $38 million as its consolidated adjusted EBITDA for the second quarter 2014 with cash flow of $163 million from operations. The company increased its 2014 adjusted EBITDA range guidance to $330-$380 million range.